The STRABAG Development Services team – a new division of STRABAG Real Estate, a subsidiary of STRABAG S.E. – wanted to present his tasks, customer promises and possibilities in a PowerPoint-based, illustrated animated film. First target group: Visitors to the EXPO REAL fair in Munich. After all, the presentation should also work in the daily B2B business. 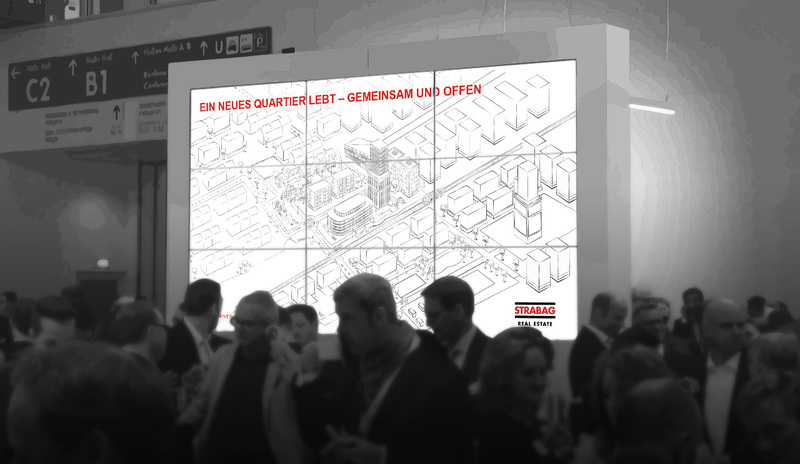 K16 developed a visual storyline in close cooperation with the customer: the basis for this was the development stages of a new urban quarter. Based on the core story, K16 developed an individual illustrative style and wrote secondary storylines for the residents and users with the client. The goal was to inform viewers and inspire them to take advantage of Development Services offerings. From the remediation of contaminated sites, to coordination with politics and the public, to the final integration into the city, the PowerPoint presentation visualizes the offer of the Development Services. We have developed hand-drawn illustrations for each of the nine development stages of a neighborhood. The colors from the corporate design of the parent company also flowed into the design. Accents and the emphasis on animated elements were given the iconic STRABAG red. Our customer was extremely satisfied with the individual preparation.